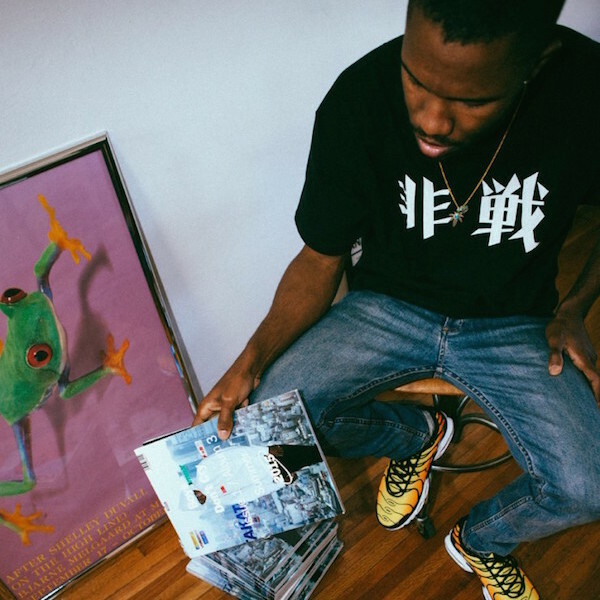 Frank Ocean’s new album is one of the year’s most highly anticipated. We still don’t know much about the record, but we do know that it’s coming in July and will be accompanied by a magazine, which will include an interview with Lil B. Now, French composer, arranger, and pianist Chassol has given us a few more juicy tidbits in a radio interview with Gilles Peterson. Chassol, who has worked with the likes of Phoenix and Sebsastian Tellier, talks about working at Abbey Road Studios with Ocean, Diplo’s role, and even not knowing who Rick Rubin is. Listen to Chassol on Gilles Peterson’s show here from around 2:12 minutes onwards and read the transcript via Fader below. July can’t come soon enough. Ocean invited me to Abbey Road to record on his album. I asked him when I came, how he heard about me. He told me his friend Diplo was listening a lot to Indiamore, and they started to listen to it, and they were wondering how I was doing the speech harmonization, so he called me. He asked me to do some speech harmonization on a song with him. After a while, it was cool and he was like, ‘yeah, but we have to find another way because you already did it.’ The guy is smart. He’s really smart. The way he works in the studio is really cool. He has a printer, he has a lot of pictures of architecture, contemporary art, a lot of pictures of different kinds of things. So we start to work on a track and he says, this track is this—that car that you can see. He makes me work on a song, and I’m like, ‘oh this sounds like Pino Donaggio’s score for ‘Blow Out’, by Brian Depalma. I start to work on a song and five minutes later on the pro-tools screen you have the movie, the score, stretched to fit the song—just to try. I’ve never worked with that much money in music. It’s good sometimes to have money, because you can try things…At some point, a guy came into the studio, a guy with a long beard. We start talking and then he leaves and they tell me it’s Rick Rubin! I didn’t know the guy! Sometimes I’m the only one who doesn’t know the things.